Pärnu (Estonian pronunciation: [ˈpærˑnu]; German: Pernau) is the fourth-largest city in Estonia. Located in southwestern Estonia on the coast of Pärnu Bay, an inlet of the Gulf of Livonia in the Baltic Sea. It is a popular summer holiday resort with many hotels, restaurants, and large beaches. 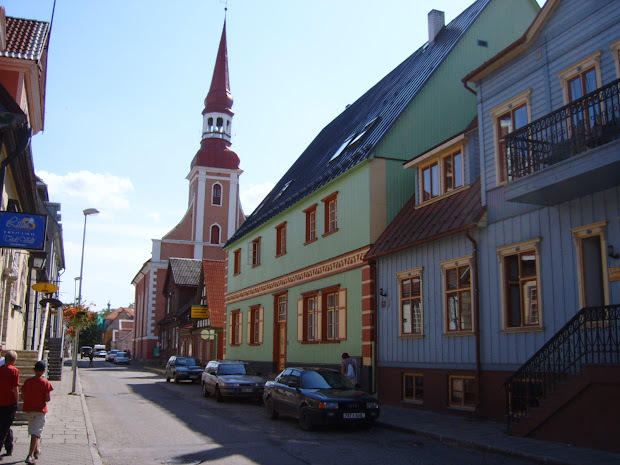 With an area of 858,07 km2, Pärnu is the biggest town in Estonia, almost as big as Berlin (892 km2). Pärnu’s area places it in the top 100 of the world, ahead of such giants as Milan, Athens, Vienna, Buenos Aires, Barcelona, Toronto and Hamburg as well as Copenhagen, Stockholm and Amsterdam. Parnu Tourism: TripAdvisor has 14,630 reviews of Parnu Hotels, Attractions, and Restaurants making it your best Parnu resource. Official travel guide for Pärnu, Estonia. Discover over 200 things to do in Pärnu, 250 places to stay, 110 places where to eat and more. Pärnu , Estonia. Situated on the coast of the webcam Parnu Bay, the resort town of Parnu will win any visitor’s heart with its coziness and beauty. It’s no wonder that it is often compared to its twin town Jurmala – there also a variety of different SPA-centers, an analog to the Jomas street – Ruutli Street and a remarkable beach. Book your tickets online for the top things to do in Parnu, Estonia on TripAdvisor: See 2,335 traveler reviews and photos of Parnu tourist attractions. Find what to do today, this weekend, or in April. We have reviews of the best places to see in Parnu. Visit top-rated & must-see attractions. Written By: Pärnu, Russian Pyarnu, formerly (until 1918) Pernov, city, Estonia, at the mouth of the Pärnu River on Pärnu Bay of the Gulf of Riga. First mentioned in 1251 as a member of the Hanseatic League, Pärnu was successively controlled by the Teutonic Knights, the Poles, the Swedes, and the Russians. Parnu is Estonia’s favourite resort town, the top leisure destination in the country. It is a quaint and beautiful small city featuring romantic architecture, stores selling top international brands, beaches, and spas. Read on to learn the top activities to enjoy during a rejuvenating trip to Parnu.